Her Royal Highness Crown Princess Katherine, accompanied by HE Mrs. Kati Csaba, the Ambassador of Canada in Serbia, officially delivered a new ultrasound equipment to the Institute for Oncology and Radiology of Serbia, in Belgrade. 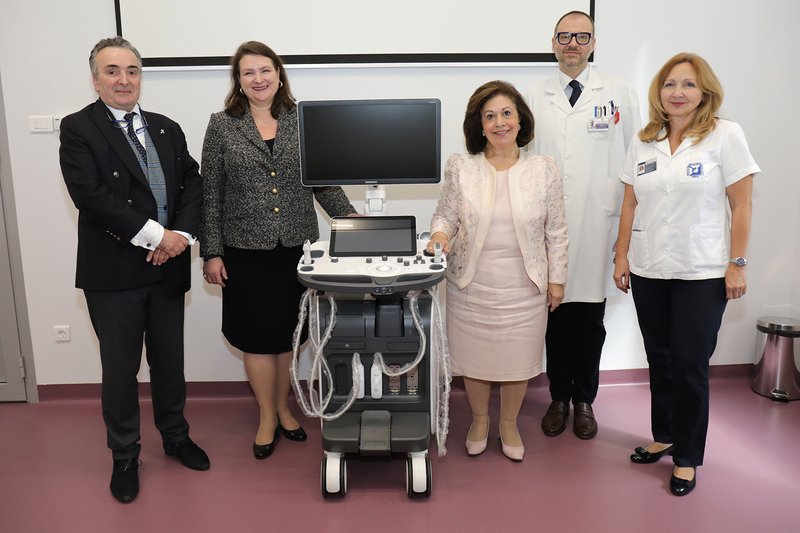 This valuable medical equipment is worth 73.000 EUR and it was provided thanks to Lifeline Canada and Lifeline New York Humanitarian Organizations whose patron is HRH Crown Princess Katherine. “The Institute for Oncology and Radiology is one of the most important places for diagnostics and treatment in Belgrade. As such it must have the best medical equipment and I’m very happy we brought such an important and modern ultrasound machine today, which, I am certain, will make it easier for the work of doctors and nurses, and diagnostics and healing of the patients faster and more efficient. I would like to thank Lifeline Toronto – Canada and Lifeline New York for their valuable donation and for the continuing hard work in helping hospitals in Serbia. I am happy that there are people in our diaspora with a big heart who truly want to help their country and who have not forgotten their homeland. My Foundation has been working on a project to raise awareness of women and the public about the early detection of breast cancer for many years. Prevention and checkups are very important. Every woman, wife, sister, daughter, mother and grandmother needs to feel important and take care of her health. Go to regular checkups, for that is the only way to detect this disease in time and heal it. 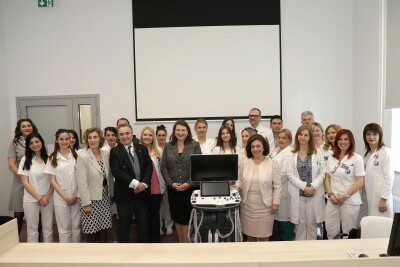 I’m happy that we have friends who are helping us, including diaspora, and I would like to announce that very soon we will deliver equipment for the genetic testing of the cancer for your Institute, the working station for mammography in Clinical Center Nis, which we donated several years ago, and eight patient monitors for the Oncology Institute of Vojvodina in Sremska Kamenica. These will be provided through the grant received from the Niarchos Foundation from America, with whom we have been cooperating for many years”, said HRH Crown Princess Katherine. Prof. Radan Dzodic, director of the Institute for Oncology and Radiology of Serbia and the whole medical staff of the Institute, thanked HRH Crown Princess Katherine for her donation and all the help provided. Crown Princess Katherine’s Foundation, together with Lifeline offices in United Kingdom, Chicago and New York from the United States, Toronto Canada and Athens Greece will continue to help hospitals and the health care system in Serbia. 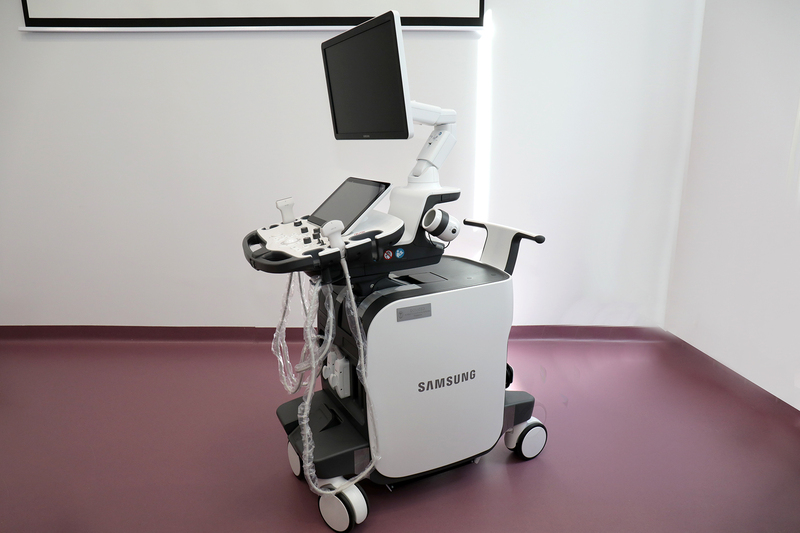 Only during the last year, 2018, the medical equipment and help in amount of over two million euros was delivered across Serbia. Besides that, many educational programs and experts’ visits to Serbia have been organized.